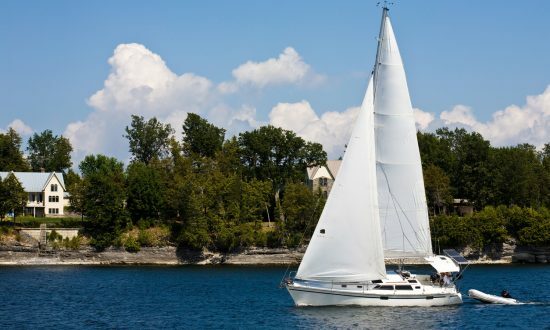 Lake Champlain in upper state New York, just south of the Canadian border, is nestled between the Green Mountains of Vermont and the New York Adirondacks, making for one of the more picturesque lake sailing destinations in the United States. Lake Champlain offers a mostly untouched shoreline for hiking and clear blue water for swimming on a hot summer day. You’ll find plenty of but you can also enjoy local eateries, wineries and breweries located in charming towns dotted around the lake. This deep water lake, surrounded by towering trees, granite cliffs and rimmed with sandy beaches is an ideal sailing destination. 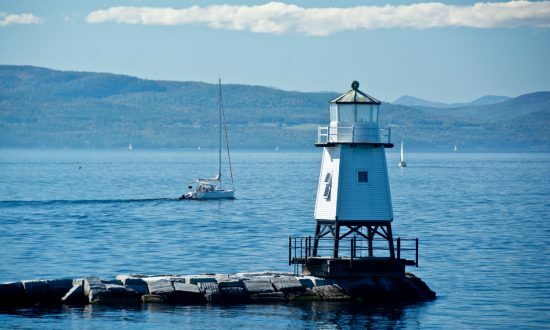 Plattsburgh, situated in the middle of Lake Champlain, is the perfect starting point for your journey. It is a hidden gem for history buffs with local reenactments for the “War of Plattsburgh”. Once you begin your sail, venture to Point Au Roche State Park, which has plenty of hiking and biking trails, as well as a nice sandy beach for sunbathing or swimming. Another stop for wine-lovers should be North Hero Island, for a tasting at one of the boutique wineries. 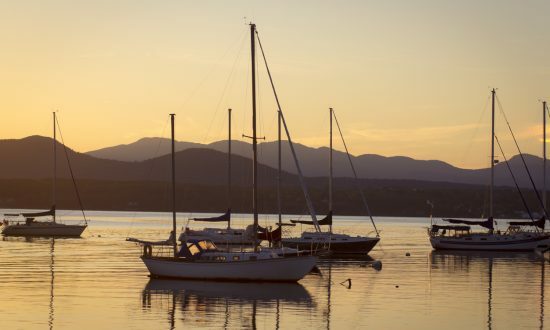 Don’t miss the eclectic and vibrant town of Burlington, Vermont. You will love to explore this city known for its laid-back lifestyle, craft beers and trendy restaurants. 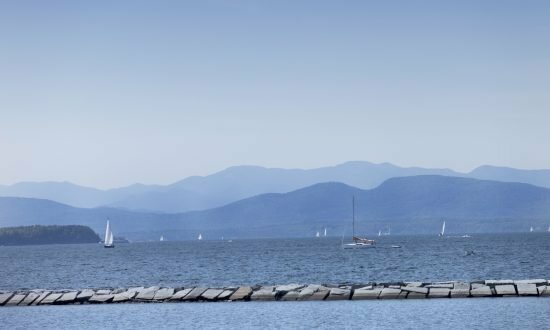 Lake Champlain allows you to enjoy the charm and history of small town America as well as the beauty of this region both by boat and on land. 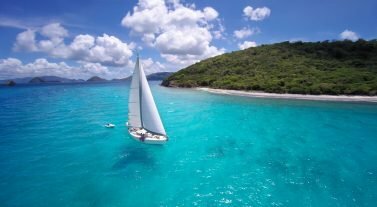 Dream Yacht Charter in Lake Champlain: We mainly offer monohull bareboat charters in this spectacular region of New York. Our base is located in the Plattsburgh City Marina. The time difference in Lake Champlain is Coordinated Universal Time (UTC) – 5 hours. Make sure your documentation is in order to travel. To enter the United States please you must have a valid passport and, unless you are a resident of a Visa Waiver country, you must have a visa. The transport system is good and it is easy to get around with trains, taxis, ride-sharing and buses. Monday to Friday banking hours are 9am to 4pm and 9am to 12pm on Saturdays, but hours can vary by bank. ATMs are readily available throughout the region. Wi-Fi is easily accessible in the region with free Wi-Fi at our base in Plattsburgh. 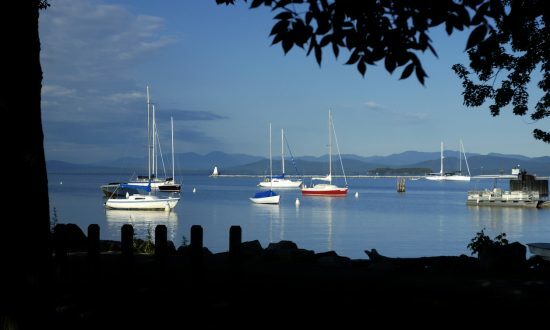 The summer cruising season in Lake Champlain offers sunny days with temperatures of 80ºF during the day with lows of approximately 60ºF during the night. Arrive early to the Navtours Lake Champlain base located at the Plattsburgh City Marina for your boat briefing and last minute provisioning so you can start your first day on the water. There is no night sailing so you will need to schedule a departure for the afternoon. Day 1: Depart the Navtours base and sail towards Valcour Island, New York. Valcour Island is considered a protected state park and is only around 2 miles long. The island features many beautiful hiking trails and restaurants to dine at. Day 2: In the morning sail from Valcour Island to Willsboro Bay. Anchorages are available at the bottom of the bay south of Willsboro Bay Marina and the southeast corner, near the New York state boat ramps.This is the perfect fishing spot for rainbow trout, walleye and bluegill to name a few catches. Both areas feature restaurants and boat services. Day 3: Leave Willsboro behind and sail towards Vermont; Shelburne Bay is your next stop. Anchoring is available in the south end of bay. Shelburne Bay Park is made up of ninety- three acres of land and many recreational activities that include several trails to explore. This area attracts tourists from all over for its sporting events, parades, fireworks, vineyards and local breweries and it is home to the Vermont Teddy Bear factory. Day 4: Depart Shelburne Bay and head towards Burlington, Vermont. The Burlington area is a small city that is comprised of many great restaurants, bars, breweries, shops and outdoor fun, all within a short walk of Burlington Harbor. Burlington is home to many great live music venues as well, including The Light Club Lamp Shop, a fully functional lamp shop and nightclub where the lamps lights dance along to the music of folk, rock and even early house and disco music played by local DJs and musicians. The area is also a great spot to stop to grab any extra provisions for your final stretch back to Plattsburgh. Day 5: Sail from Burlington to Mallets Bay for a perfect anchorage to enjoy gorgeous mountain views and a picnic on land. Day 6: On the final stretch of your Lake Champlain adventure stop by Burton Island. Burton Island spans only 253 acres and is home to many campsites, hiking trails, a nature center and some ideal areas for a picnic. Day 7: In the morning head towards Point au Roche State Park, New York. This area includes forested areas, a small beach, and a picnic area to enjoy your lunch. This area is also popular for fishing so get your poles out! Some activities you can enjoy on land are hiking trails, volleyball, softball and a nature center, which is open all year long. Our base manager will be pleased to welcome you to Plattsburgh. Three airlines, Spirit, Allegiant and United, fly into Plattsburgh International Airport connecting the world to our cruising area. Larger airports close to Plattsburgh are Montreal, 74 miles or 119km away, and Ottawa, 145 miles or 234km away, in Canada and Syracuse, 244 miles or 393km, away in New York. Our base offers many amenities such as free WiFi, onsite ATM, a service dock with pump out service, water and ice, toilets, showers and washer and dryers open24 hours. For anyone who is driving to our base there is secure parking. Grocery and liquor stores for provisioning is just a five-minute drive away.